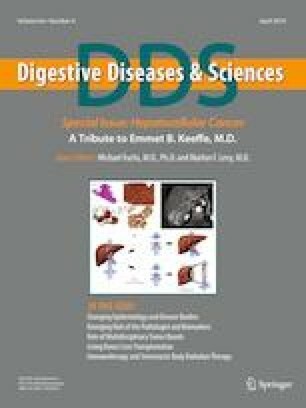 The endoscopic detection of esophageal cancer is suboptimal in both patients referred with dyspeptic symptoms and those enrolled in Barrett’s surveillance programs. MCM5 expression in cells collected from gastric fluid may be correlated with the presence of dysplasia or adenocarcinoma. Analysis of this biomarker may improve the detection of cancer. Sixty-one patients were enrolled at a single UK referral center. From each patient, 5–10 ml of gastric fluid was aspirated endoscopically. Patients were categorized according to their histology, normal, non-dysplastic Barrett’s (NDBE), high-grade dysplastic Barrett’s (HGD), and esophageal adenocarcinoma (EAC). All histology was confirmed by Seattle protocol biopsies or endoscopic mucosal resection. Samples were centrifuged, and the cell pellet was lysed. MCM5 expression levels were quantified using a proprietary immunoassay. The mean MCM5 expression was compared between groups by Kruskal–Wallis test. ROC curves were also used to assess diagnostic utility. The mean expression of MCM5 increases as patients progress from a normal esophagus to NDBE, HGD, and EAC (14.4; 49.8; 112.3; and 154.1, respectively). There was a significant difference in the MCM5 expression of patients with a normal esophagus compared to those with EAC (p = 0.04). There was a trend toward higher MCM5 expression in patients with EAC compared to those with NDBE (p = 0.34). MCM5 expression was a fair discriminator (AUC 0.70 [95% CI 0.57–0.83]) between patients without neoplasia (normal and NDBE) and those with early neoplasia (HGD and EAC). MCM5 expression in gastric fluid samples can differentiate patients with a histologically normal esophagus compared to those with early adenocarcinoma. Larger, powered studies are needed to assess whether it can be used to differentiate those with HGD from NDBE. RJH has received research grant support from Pentax Medical, Cook Endoscopy, Fractyl ltd, C2 Therapeutics, and Medtronic plc to support research infrastructure. This was a commercially sponsored study by Arquer Diagnostics Ltd.
ME, DG, and RH helped in study concept and design; acquisition of data; analysis and interpretation of data; drafting of the manuscript; critical revision of the manuscript for important intellectual content; and statistical analysis. CM, DA, SB, and LBL contributed to acquisition of data and critical revision of the manuscript for important intellectual content.